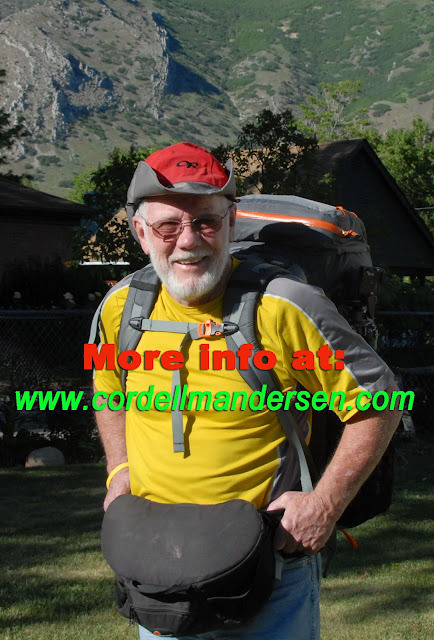 May 16th UPDATE: “overcoming the obstacle” got a bit more complicated, so it looks like the “backpacking still” will mostly be this old guy doing it in my 78th year! “I’m going under the knife” as there is too much of me still working pretty good TO GIVE IN! Eventually they will all be presented in a photo gallery identified with common and scientific names and other information. 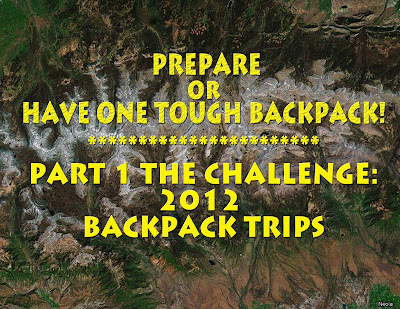 Here I am again to give you a few tips about how you can have a great backpack or two this summer.. NOTE: Down near the end of this post I talk about a new obstacle to me accomplishing my goals. One possible solution is discussed. This is an incredible discovery, so check it out carefully when you get to it. 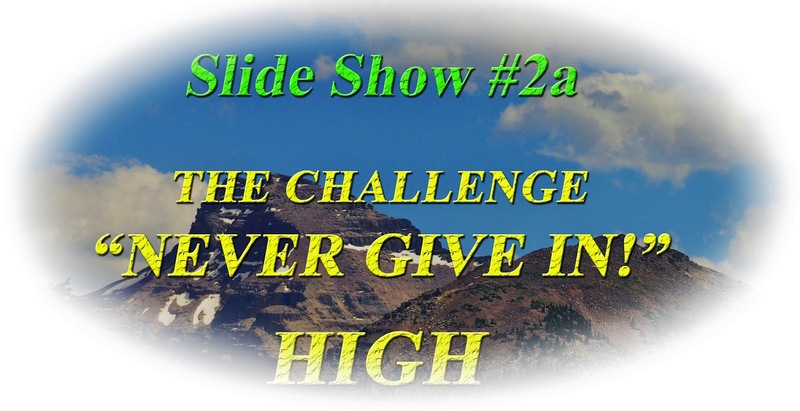 Remember in Part 1 we talked about heavy duty work getting in great physical shape….or else…..or have one tough time that just could be a nightmare if you’re not willing to put in the effort to be strong. 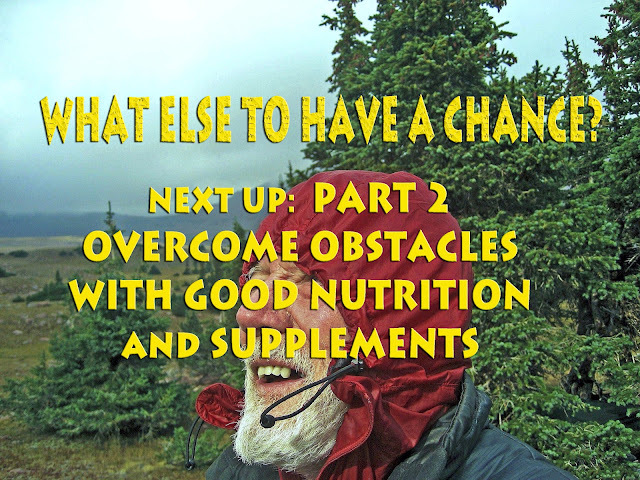 In this segment, Part 2, I will focus on overcoming obstacles with nutrition and supplements—that one mature friend has called “the Holy Grail” for us older guys. As you will notice it also took a couple of surgical reconstructions. Of course there is also a YouTube video. It is a bit long but 17 minutes is a good investment that could mean enjoyment, or misery–or life and death. So take the time and get prepared. Then at 45 I was becoming a cripple with arthritis from the “football ankle” up my right side to my shoulder and arm. I was getting desperate, but then one night heard a radio interview with Dale Alexander. Pay attention, this is critical for many. He saved himself, his 80 year old mother and others from being cripples. His treatment was so effective he became known as the “Cod Father” His Cod Liver Oil. Two years after the initial miracle I quit for a month and the arthritis all came back. I then started it again, and at 4 months the pain left me and has never returned, except when doing extreme exercise, but increasing the dose solves that problem. I must add that my body stiffness felt when I get up in the morning very literally is felt dissipating in about 10 minutes after taking my cod liver oil. At the same time I was successful at losing 30 lbs., no small matter to say the least. Part of that was jogging and eventually running half-marathons, but that brought back pain in the ankle and metatarsilitis in the balls of my feet, and a rheumatologist told me to stop running, and forget backpacking. 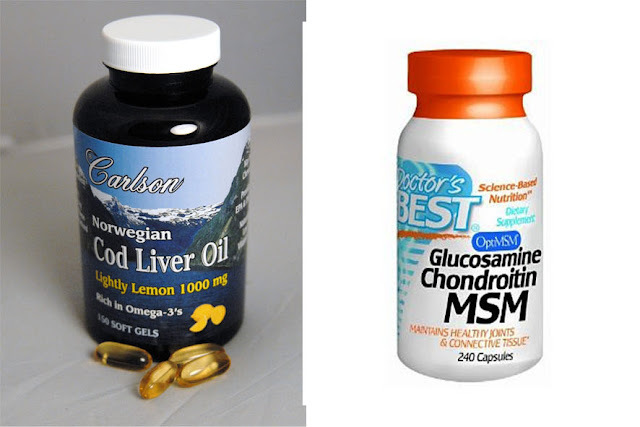 I added Glucosamine/Chondroitin/MSM to my cod liver oil, and made modifications to my running shoes and hiking boots, with an incredible combination of inserts. By then I was in the middle of my High Uintas Project and by 2006 the football ankle wore out and my ankle was reconstructed with 3 screws and a tendon transplant. Of course I kept working out even with the cast on my leg and ankle, and kept backpacking using a lightweight boot that gave my ankle support, but gradually moved to a lightweight low cut boot, and now just a mountain running shoe with one additional insert. Along that 30 year trail I also had to begin coping with my “motor cycle knee,”also on my right side, after an accident, and a knee operation followed by the doctor’s advice to forget jogging and backpacking. Of course the cod liver oil, and Glucosamine/chondroitin/MSM helped me ignore his orders and keep going using a knee brace, but a year after the ankle surgery in 2007, my knee wore out and it was either become a couch potato, or back to surgery for a complete knee replacement. 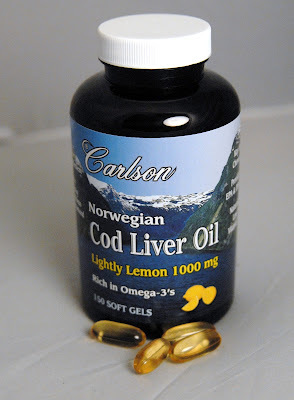 For many years of normal living I only took 2 gelcaps/day of cod liver oil for maintenance and it was enough. But, now I take 6 in the morning as I’m dealing with major joint and arthritic problems while doing 7-8 miles, 3-5 times a week in my work. I take 2 more with my noon meal, and 1 prior to going to bed. 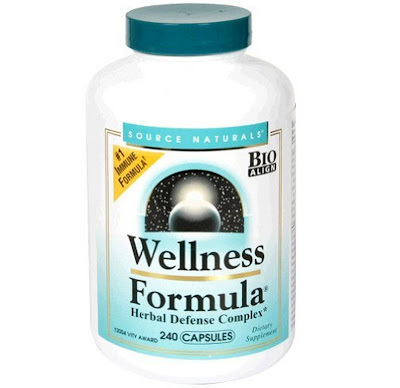 I also persist at taking 2 capsules of Glucosamine/Chondroitin/MSM in the morning, and 2 at mid-day, and in addition also need 2-3 Excedrin, or better its Walmart equivalent that is much cheaper, and when in the midst of a heavy day repeat it at mid-day. With that I now head into the high country with no knee brace, and my lightweight, but great quality mountain running shoes. Here I’ll only mention what I begin with every day—it is DEE’S CEREAL, . You can hit the pause and read the benefits of this great cereal. I will only mention that its claim to be “Heart Healthy” is no joke as I have also in the last 10 years or so had to deal with a couple of heart conditions. Several related emergencies I survived and describe in two of my Survival stories on the website. You will notice I mix in cinnamon as studies have shown it helps control blood pressure. I mix it with dhyrated milk, and sugar and put it to soak overnight so it needs no cooking. You can hit the pause button and see what else is said about this cereal which in Utah can be found in the cooler section at your supermarket. Now to the nutrition supplements I use and why. All of them together add up to my MULTI-VITAMIN/MINERAL and MORE. 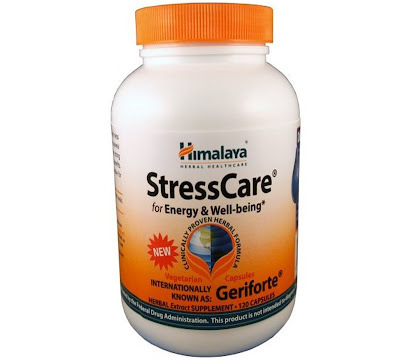 Next is STRESSCARE Another herbal multivitamin/mineral/antioxidant and immune system support specifically when under physical stress such as backpacking. 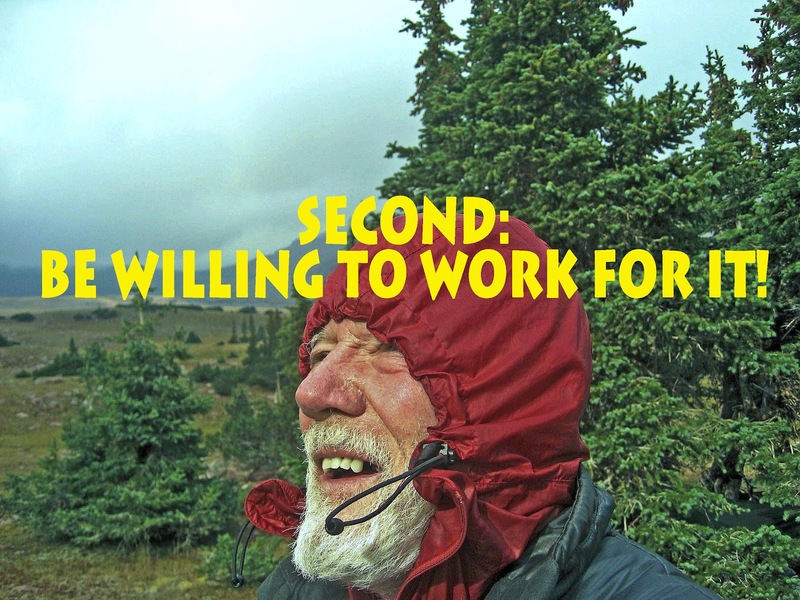 When working or backpacking I take 2 twice a day. 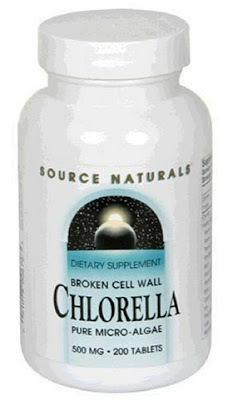 Then comes CHORELLA a super food considered the secret of longevity among some of the oldest people on earth. Click on it to learn more. CoQ10 It is a vitamin-like compound essential component of cells and is necessary for mitochondrial energy production. Years of research has shown that CoQ10 supports healthy cardiovascular and immune system functions in addition to its vital role in energy production. 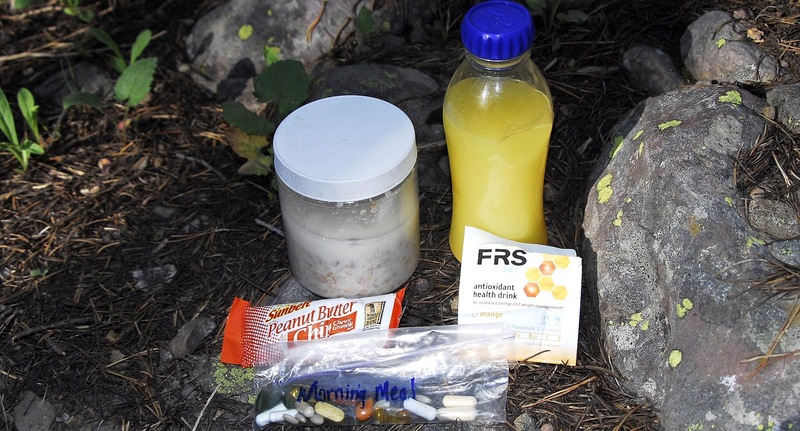 I take one in the morning and another mid-day when backpacking. VITAMIN D3 is another crucial nutrient, especially for older individuals where natural levels of nutrients are lower than they should be. 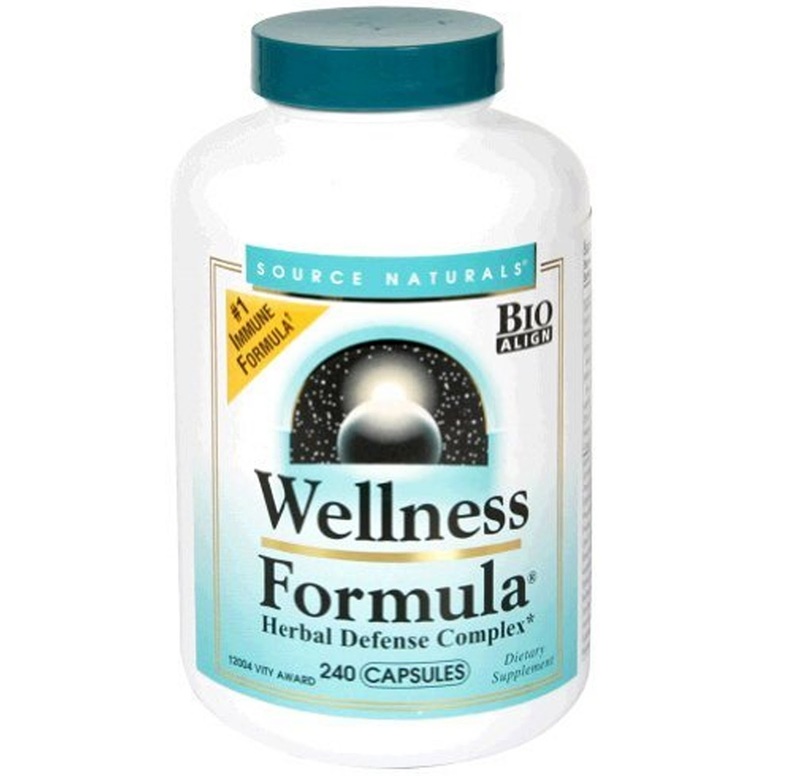 It is necessary for bone health, immune wellness and plays a crucial regulatory role for many bodily processes. 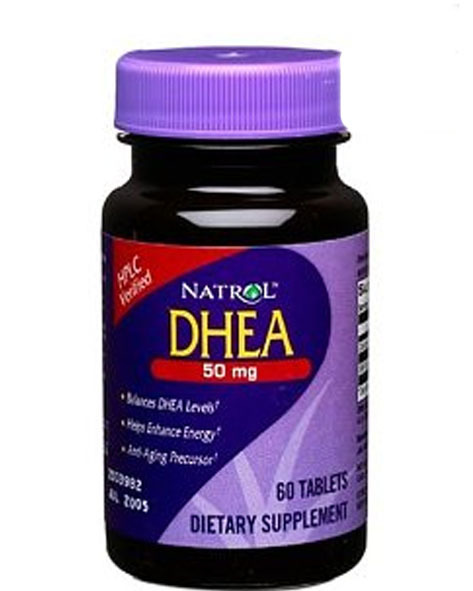 DHEA This is the “Mother hormone” for both men and women as it converts into whatever hormone the body needs and is essential to keep your body in proper balance. Some have called it “the fountain of youth,” levels of which are known to fall precipitously with age, and with low levels common among those who suffer from cancer, heart disease, diabetes, osteoporosis and chronic fatigue. I take just one 100 mg capsule to begin the day. 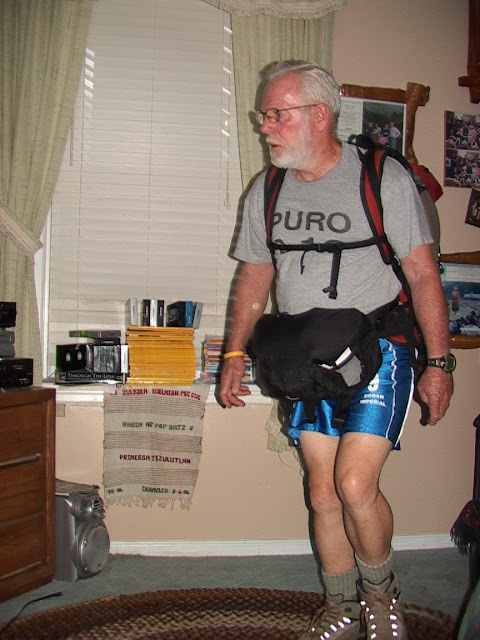 Above you see me in 2003 leaving on my 27 day “expedition” with 81 pounds on my back and around my waist. A mile down the trail I added 2 lbs. of water (1 quart). 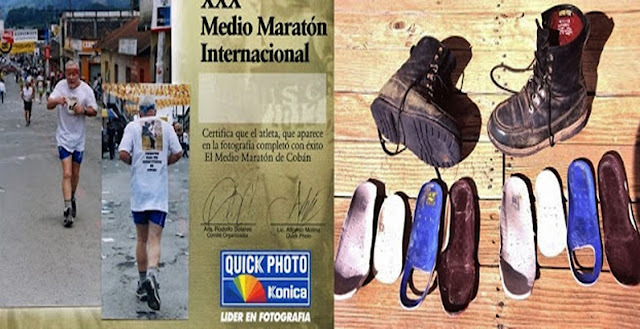 This was a monumental effort similar to doing a a half-marathon a day, and sometimes a marathon for 27 days and 236 miles. This required special conditioning and athletic nutrition without which it would have been a nightmare. I trained for it for years on my farm in Guatemala doing 4 miles of rolling hills 2-3 times a week with a 100 lb. bag of fertilizer on my back. If you’re not willing to train big time, don’t attempt it! 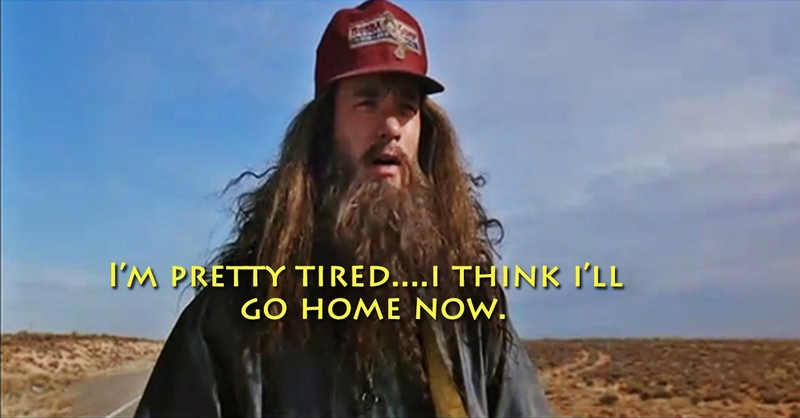 As you might have noticed I approach backpacking (and the work I do at Reams) as I did running a half-marathon. 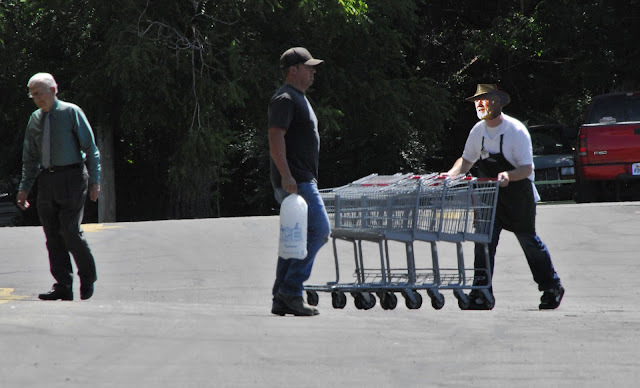 It could be argued that carrying a 30-50 lb. 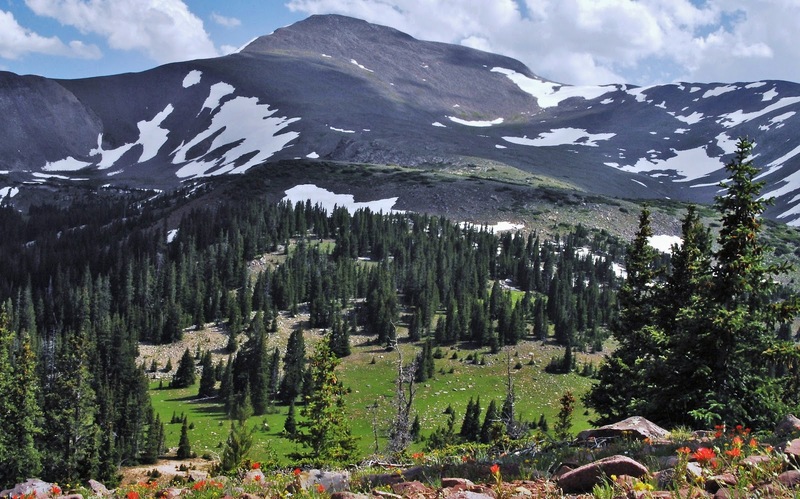 pack at elevations over 10,000 ft.for 5-6 miles is actually more difficult than running a 13 mile half marathon. So you should approach it, and its recovery each day similarly. Below are a few glimpses of the challenge. 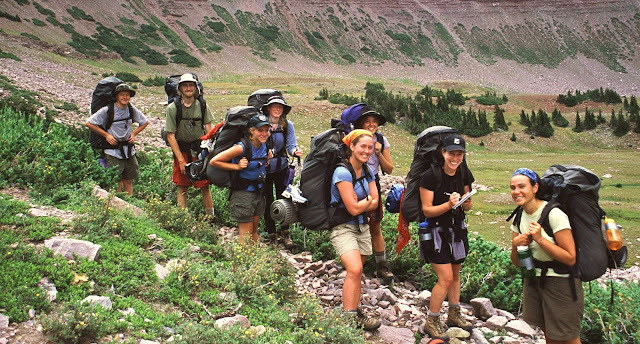 Freshman orientation from Earlham College, Indiana on their 19 day backpack trip in the Uintas. Mahana climbing East Grandaddy Mountain for the view of a lifetime. 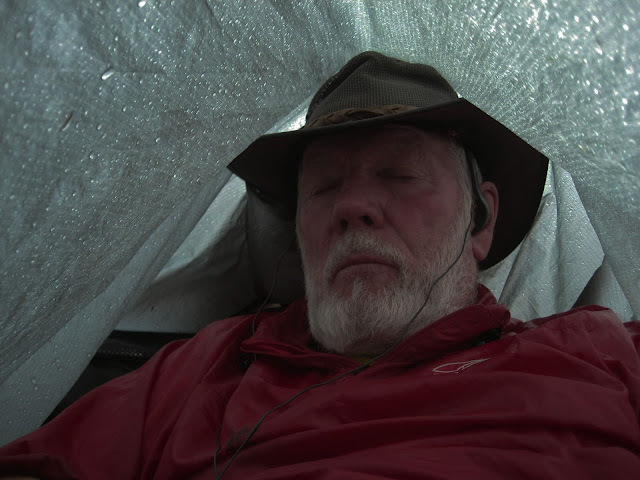 Bushed after a backpacking day equivalent to running a marathon! You need marathoner’s supplements to do it right and enjoy it. ENDUROX-EXCEL builds endurance, increases fat metabolism, and helps maintain healthy immune function. One investigation showed it to increase a marathoner’s performance by around 15%. 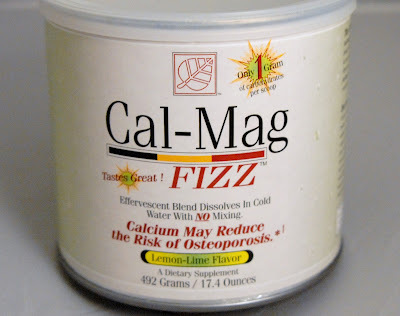 I find myself clearly more alert and energetic taking 2 tablets each morning just before going to work, or beginning my hike for the day..
CALCIUM-MAGNESIUM A few years ago RUNNER’S WORLD reported a study showing that the mineral marathon runners lose most is calcium. The same for backpackers. Thus, 5 gm. ( teaspoon full) is added to the energy drink I mix in the morning and drink at about noon. Again in the afternoon 5 mg is mixed with my recovery drink (Endurox R4) after work or backpacking is finished. Then again at night mixed with HGH stimulant before going to sleep. This is also available in capsules. ENDUROX R4 – this is a carbohydrate Protein formula usually used for recovery and “coming back stronger.” I mix it in the morning (on the trail only the powder with no water in my mixer bottle) to add water half-way through my day at lunch time to begin the recovery process for the remainder of the day, and another one on finishing hiking for the day for recovery. . To the Endurox I add Calciumn/Magnesium as explained above, and also extra Glutamine as mentioned below. GLUTAMINE powder, capsules is an essential amino acid with an important role in muscle development. Under extreme exercise, especially for older individuals, levels are depleted and need to be replenished to avoid muscle breakdown. RUNNERS WORLD reported that marathon runners who took 5 gms. 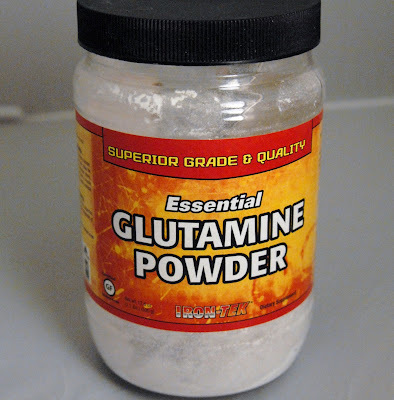 of Glutamine after a race were able to avoid getting sick. 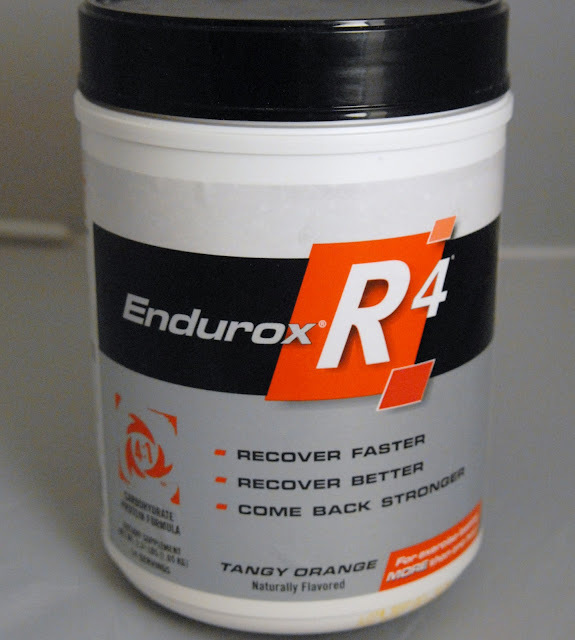 I have certainly found this so in my own experience—thus these ingredients are added to my energy and recovery drink (Endurox R4 already has enough Glutamine for average people–I add 1 tsp for being an old guy with special needs). You can also get this in capsule form to avoid having to mix with a liquid. 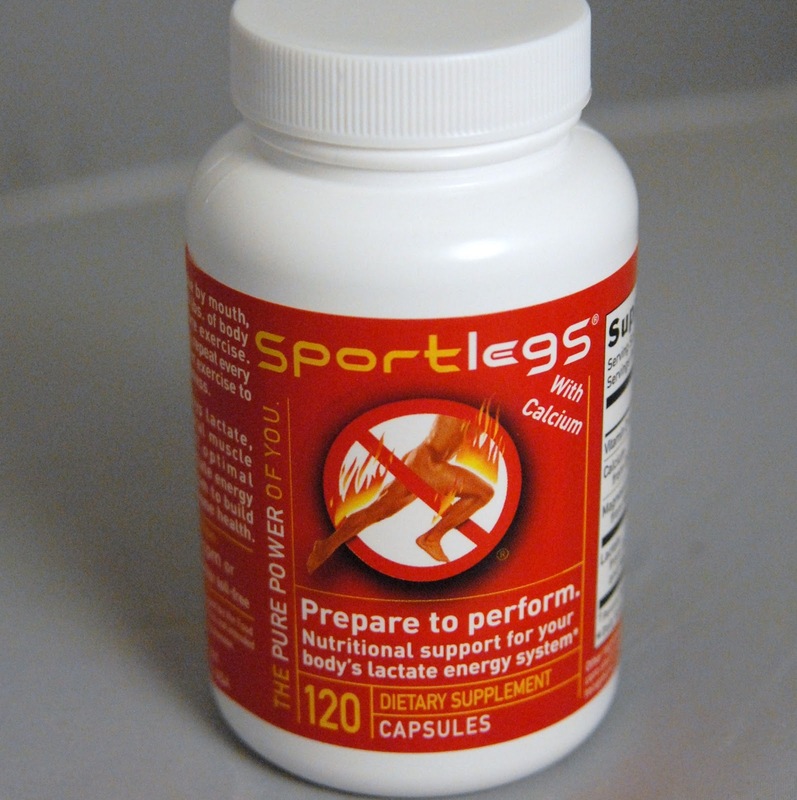 SPORTLEGS is designed to support your body’s lactate energy system to help minimize muscle soreness. When backpacking I take three to begin the day and two on finishing the day’s hike to help recover and eliminate muscle soreness. NO VITAMIN/SUPPLEMENT BOTTLES – of course I don’t take backpacking all these bottles and containers I’ve been showing you, but have a bunch of labled Ziploc bags for each take, plus a few extra of certain key supplements for when I might need to increase the dose, such as with WELLNESS and COD LIVER OIL. As shown here I take a few wide mouthed plastic mixer bottles, actually free left over from your chocolate drink snack, etc. Just remove the labels and you’re ready to go. They weigh nothing, so you can take a few extras in case you need them. To the left is my Dee’s Cereal mixed in the evening for the next morning’s breakfast. Another staple is eggnog mixed with dehydrated eggs, milk power, cinnamon and sugar (I take the powder mixed in a ziploc bag, and then mix it in a bottle like to the right–which as pictured has the FRS drink in it rather than eggnog). I have a couple of eggnogs every day which is the most delicious menu item always. During the day, on the trail, I have a pack of FRS chewsin my pocket. This is promoted by Lance Armstrong, and NFL’s Tim Tebow, and me. It is a mix of essential vitamins, plus Quercetin which is a powerful all-natural antioxidant found in fruits and vegetables. Once in a while in my work I begin getting tired and grumpy towards the end of my shift—and sometimes outright sick.. I quickly pop 2 FRS chews in my mouth and within 10-15 minutes am able to cheerfully finish my day. On the trail I often have made the last few miles to my camping spot, or to the trailhead on the back of a couple of chews. 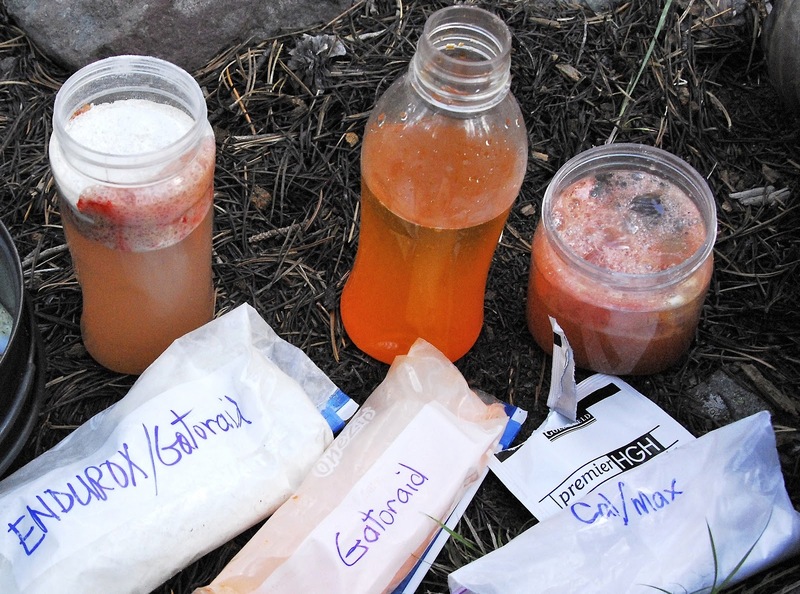 FRS is also available in tubes of powder to mix with water as seen a couple of photos back. RESVERATROL – this supplement contains the ingredient in red wine that is reported to be beneficial for one’s heart and longevity. One is taken along with the dinner meal. CALCIUM-MAGNESIUM s taken 30 minutes before retiring.. This is a great aid to avoid Irritable Leg Syndrome, leg cramps, and aid to sleep better. It is taken along with HGH (Human Growth Hormone) stimulator made up mostly of amino acids. Once again HGH becomes very deficient in elderly people that contributes to bringing on old age. . I will be experimenting with the tablet form pictured here, but usually use a powered form by Goldshield and pictured below. IBUPROFIN – due to joint and leg pains as explained I take 2-3 ibuprofen at night to help me sleep better. My search for a solution had me discovering a product, D-Ribose, that sounded like it could help. I was willing to try anything so got a bottle. “D-RIBOSE” is essential for synthesis and production and storing of energy for skeletal muscle and heart tissue, and aids in recovery and is a powerful antioxidant cleaning up free radicals that multiply with intense exercise. The dose was 5 capsules twice daily, which seemed like a lot so I went with 2. twice a day, but felt no change. Then one day at work I had my leg almost collapsing every few steps and got real worried. At break I took 5 capsules and went back to work with the pain and weakening gone. It must not be arthritis or the cod liver would have solved it, so I’ll get it checked out soon, but in the meantime I’m sticking with D-Ribose, no matter what the cost. Another one that caught my eye was CURCUMIN C3 COMPLEX – from the Tumeric root that “benefits joints and other tissues by helping to neutralize free radicals.” Alone it didn’t make much difference, but in combination with D-Ribose, it has me hustling around doing my 7-8 miles 4 times a week while unashamedly admitting that it is with a bit of a limp. Within a few days I will have it checked out by the doctor and see what the heck is going on. So apparently the shrapnel wound doesn’t have anything to do with it. I’m down for a day or two, but far from out as this morning I was seen by Dr. Joseph Richey and given a shot of cortisone at the tail end of my spine that will have me by Monday hustling around Reams Supermarket and preparing for my High Uintas Project with Friday-Sunday off each week from now until August to do research in all the areas surrounding the Uintas, and then in August peck away at the 4 adventurous trips outlined in Part 1 of this series on Backpacking. 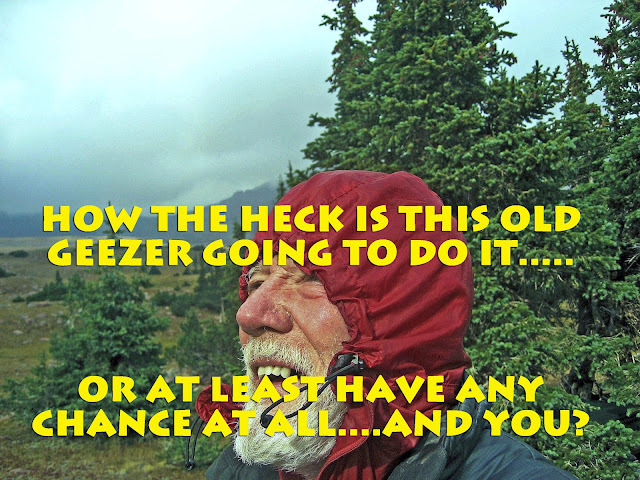 However I will persist using D-Rebose as it sounds like a perfect addition to keep this old geezer from “giving in” and plow forward until the job is done. NOTE: This was not included in the YouTube video. I can’t really end this without another word about nutrition–the kind that will cost you nothing, but give big results. THIS IS NOT TONGUE-IN-CHEEK! Their incredible nutritive qualities are going to help keep me above ground and hustling. that I have called the “Spinach of the Weed World.” Others have called them“The Gourmet Weed.” Of course you have them all around your home, at the park, and also in the High Uintas Wilderness, at all but the extreme elevations. 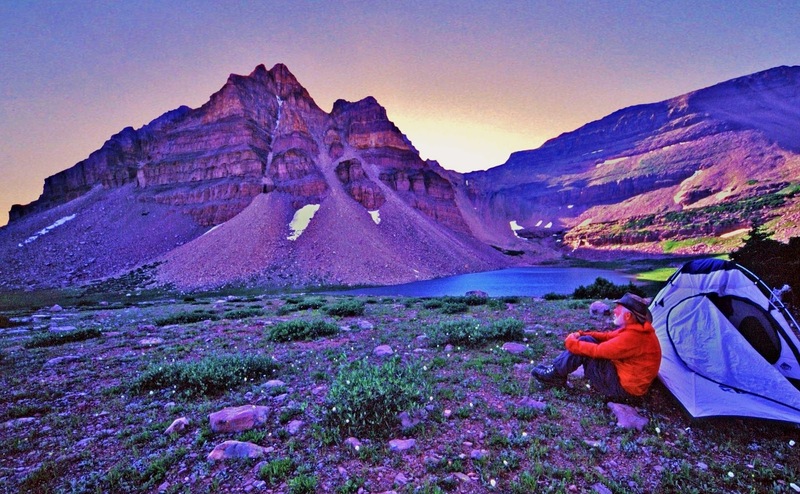 They come and go but if they are around where you’re hiking or camping, think seriously about them. The leaves and the flowers can be used to increase the nutrition of your soup, or whatever. They can also be eaten raw as a salad. They have amazing nutritional qualities as the links in my photo/essay will demonstrate. Here you see me adding dandelions to a pot of macaroni soup. THEY HAVE AMAZING NUTRITIONAL and MEDICINAL VALUE. 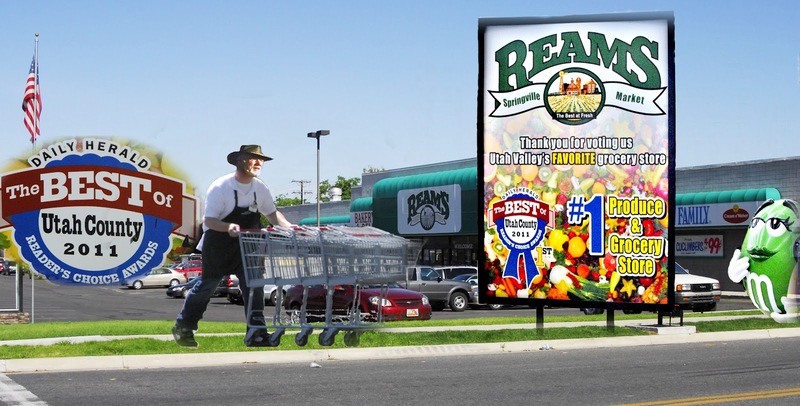 ranked in the top 4 of all green vegetables, and the 3rd food in vitamin A content, only topped by cod liver oil and beef liver. The flower and leaves are high in the Vitamin B’s, and effective for dealing with stress. Also rich in potassium, iron and calcium, with medicinal benefits to cure high blood pressure, hepatitis, etc. and rich in enzymes to aid digestion. Of ALL VEGETABLES dandelions rank 9th best. I eat a handful daily, some in a salad, and more just slightly cooked along with swiss chard. For incredible information go to my website. PURSLANE which you have among your flowers, and all over your vegetable garden. You likely even HATE IT! Below you see this old enemy–soon to become a cherished friend, and a shot with some cleaned and ready for my salad. 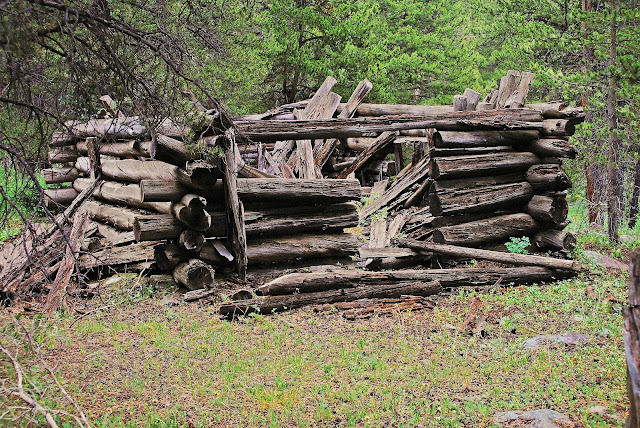 This will help you be healthier down in civilization as it is not found in the High Uintas. 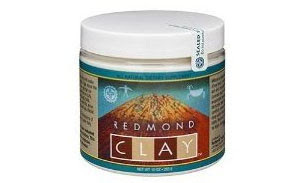 You can buy this in a bag at Good Earth in Provo, or Orem, Utah cheaper, for about $7.00. Now, INTO THE UINTAS TO SEE IF I KNOW WHAT I’M TALKING ABOUT OR NOT–or just so much HOT AIR! I’ll be posting reports, and you should listen each Saturday from 6:00 to 8:00 KSL OUTDOORS RADIO and get my satellite phone report from Aug. 4th on–most likely in the first half hour of the show. Go to: KSL RADIO ONLINE. 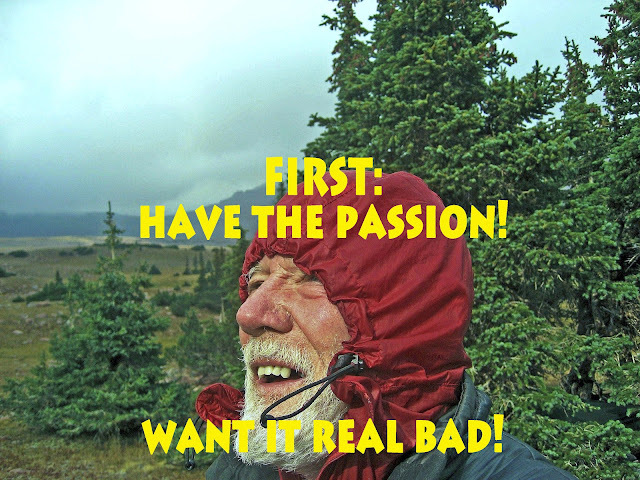 Click below to see the 10 minute long YouTube Video #9-Part 1-PREPARE or ELSE…. I now have posted the details of my plans on the 2012 Backpacking Schedule page. The topographical maps and elevation profiles are the same as for last year. A couple of the routes on the maps are in reverse order of what I will actually do, but the details are the same. NOTE: You can search for any item or area mentioned in this report using the search machine at the top of the page. 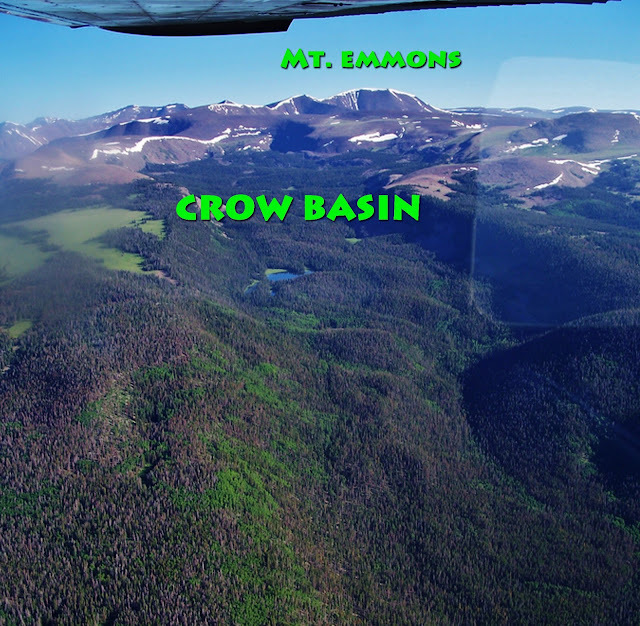 For example: Searching for “Crow Basin” refers you to 4 reports and any comments that have been made in this blog, and the YouTube video. Searching for “tie hackers” gives 16 references, etc. As I did in the YouTube video #9, I’ll share in this photo/essay some of what I have learned in backpacking 1,500 miles in the High Uintas Wilderness since 2003. I’ll be in my 77th year when I head for the High Uintas on August 1st and will be prepared for whatever…..with Spot Tracker and satellite phone within reach. Tune in to KSL OUTDOORS RADIO every Saturday morning at about 6:35 a.m. to get my report via sat phone provided by SkyCall Satellite and Russ Smith and listen to reports from outdoorsmen from all over the world. 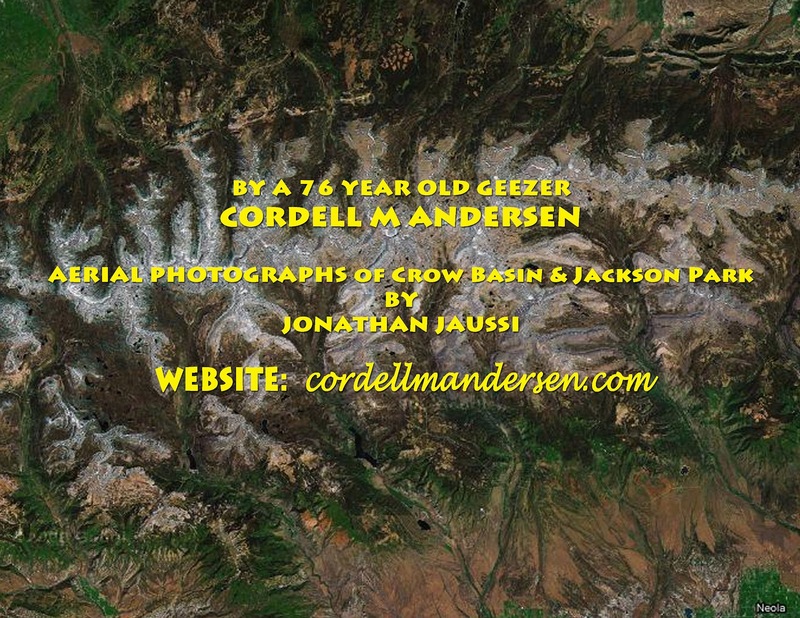 Check this website (blog) in late July or August to get the link to follow me on Google Earth via the Spot Tracker. First up let’s take a quick glance at the 4 trips I plan on taking during the month of August,. I’m waiting until August this summer as there will be fewer mosquitoes, the weather will most likely be better, and the streams low and more easily forded. 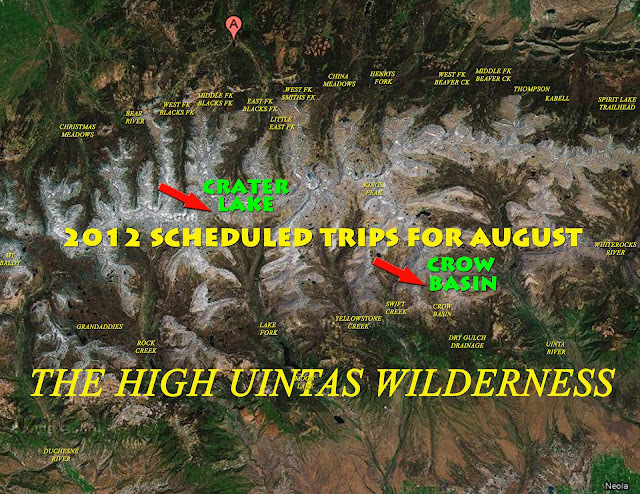 Of course I’m still dealing with my High Uintas Wilderness Project, so the trips will be in the Uintas. The trips will not necessarily be taken in the order we outline here–in fact the last one will for sure be the first backpack taken to begin the season. Here we begin with the one that is impressive due to having wonderful aerial photographs. from Jonathan Jaussi–thanks, Jonathan. 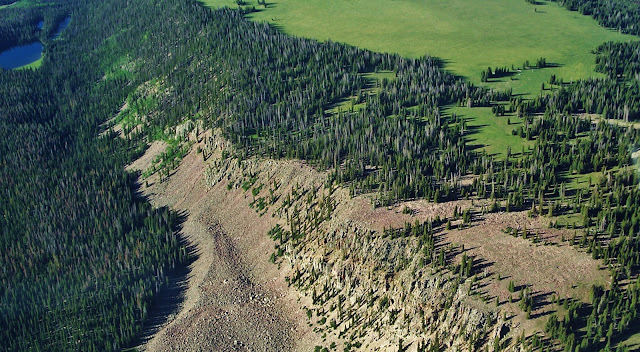 Crow Basin is part of the Dry Gulch Drainage, the smallest in the High Uintas. It is sandwiched between the Yellowstone and Uinta River Canyons on the South Slope. The view above is looking north up Crow Canyon with12,194 ft. high Flathead Mountain on the right, and Mt. Emmons dominating the scene. Emmons is the 4th highest peak in Utah and the Uintas, at 13,440 ft. Following that ridge to the left you come to 13,387 ft. Mt.Jedediah, 5th highest, and eventually Utah’s highest, Kings Peak. at 13,528 ft. 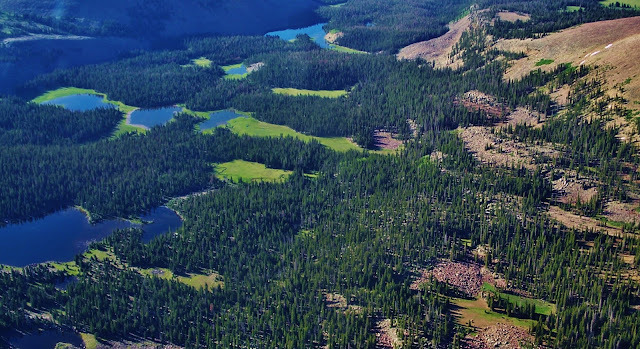 Above we are looking south down Crow Canyon seeing some of the 9-10 lakes in the basin that have fish. 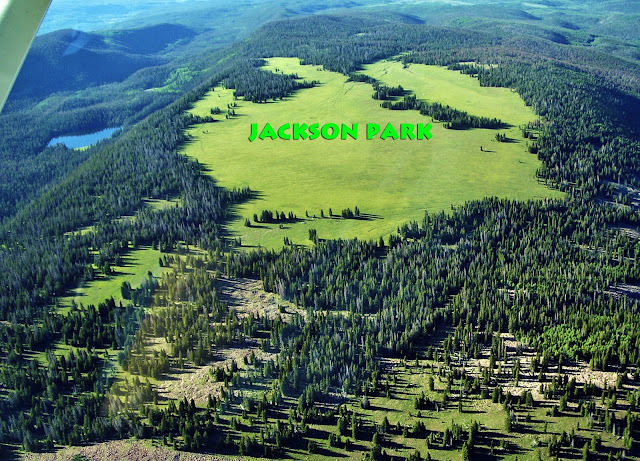 Here we are moving to the west seeing above to the right Jackson Park. Right in the center of this photograph is the escarpment I got to last year which kept me from going down into the basin. Along this same escarpment to the left, or south, you get to areas of pines and aspens where perhaps one could get down into the canyon although very steep and rocky. From up the ridge we look south towards beautiful Jackson Park. We are moving towards the west looking southeast and if you look closely to the right of the pines that divide the right quarter, you can see a fine line that is the trail coming out of the pines where is found the only sign in the area I insert below. (NOTE: If you can’t see said trail, click on the image to enlarge.) 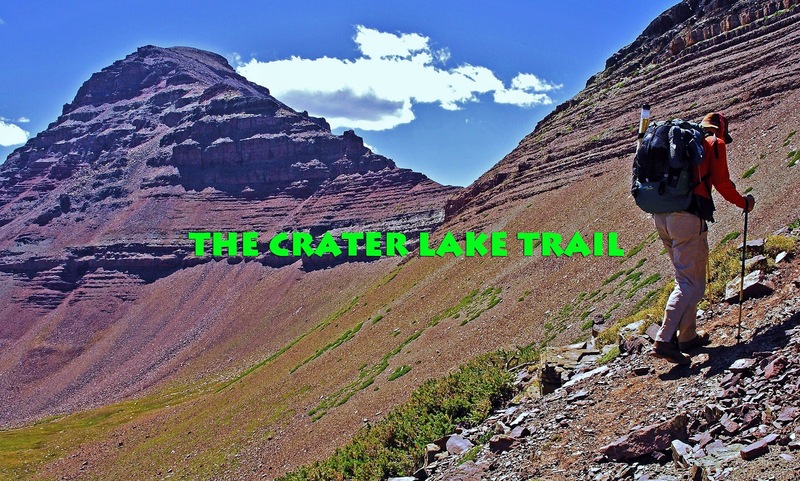 That trail continues up into the Swift Creek drainage, then forks, the trail going north west climbs 11,613 ft. Bluebell Pass, the right fork takes you to the Timothy and Carrol Lakes a distance of 13 miles. This sign is next to the only spring in the area. Last year I camped near here. Now we have moved around to the southwestern edge of the Park. In the middle is where I found the only water in the area that comes from a spring at the edge of the second grouping of pines. We’re looking at Jackson Park from the south with Crow Canyon on the right. Possibly a good pathway down into the canyon is from the far southern point of the park in the lower middle of this photograph, and from there swing up the canyon to the basin. I will likely first attempt getting down into the canyon from this southern part of Jackson Park. Another of my priority trips is to Crater Lake a truly exotic area I’ve never seen a picture of in any of the guide books. 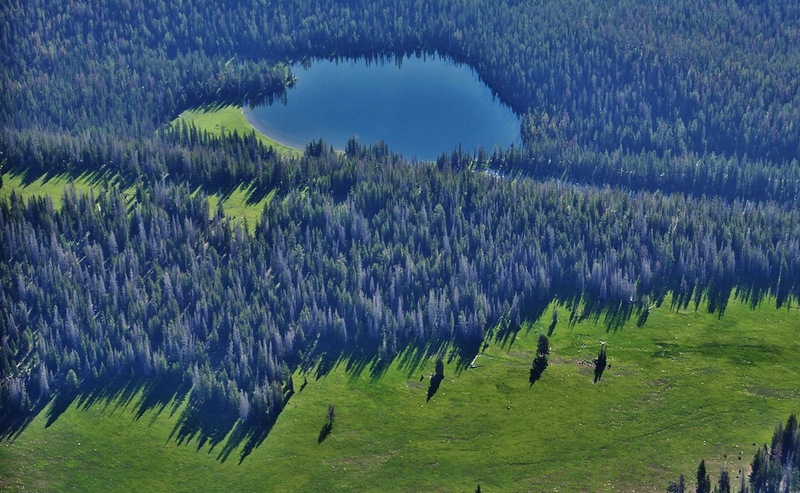 You can come up Lake Fork from Moon Lake on the South Slope, a gradual elevation gain hike of around 20 miles. 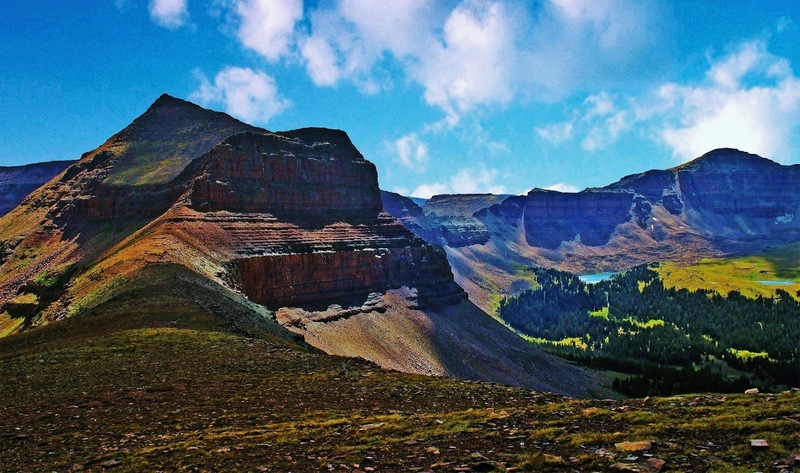 A shorter, but a much more adventurous and spectacular route of 16 miles is from the East Fork of Blacks Fork Trailhead on the North Slope. In the upper reaches you climb 12,165 foot high East Fork Pass (my name) with 13,219 foot high Mt. Lovenia dominating the scene. Here I am coming from Mt. Lovenia, with the trail (and pass) to the left. My buddy, Ted Packard is looking from East Fork Pass towards Red Knob. 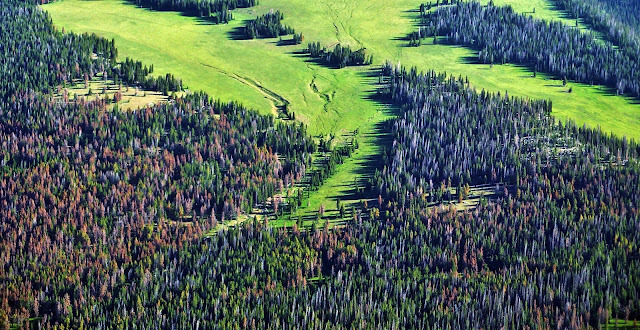 You can see faintly the trail along the slopes of Red Knob winding its way towards the pass along the spine of the High Uinta Mountains. You actually go down 465 ft. in elevation to get to Red Knob Pass. 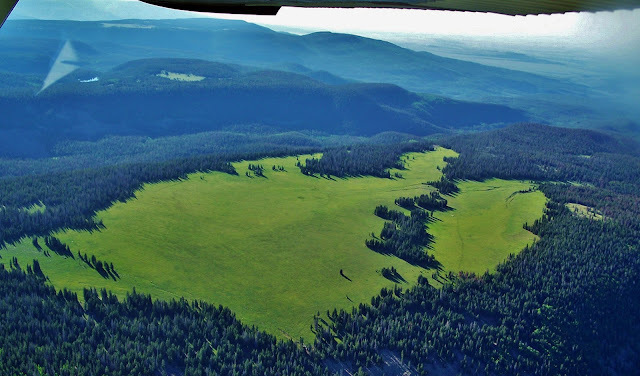 We are now on 11,700 ft. Red Knob Pass looking towards the Dead Horse area at the head of the West Fork of Blacks Fork on the North Slope. We will follow the Higfhline Trail to the left down into the South Slope’s Lake Fork Drainage. Now on the South Slope in the Upper Lake Fork Drainage’s arctic tundra we see our objective in the middle of the photograph–Explorer Peak in the dead center at whose base in a glacial cirque is Crater Lake. Once switch-backing down from Red Knob Pass you go off-trail but as you can see it’s easy hiking. Here we are at one of the jewels of the Uintas–its deepest lake at 147 feet. 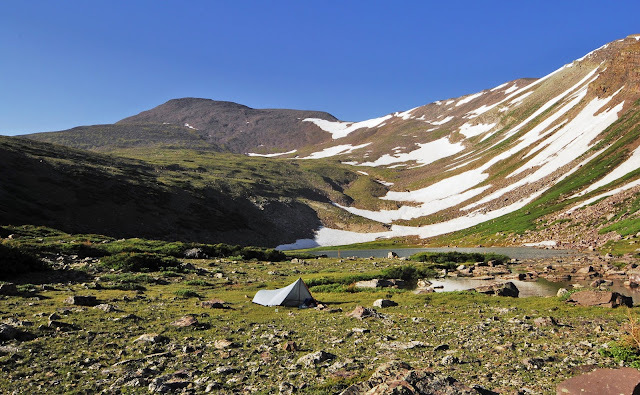 For years I have yearned to get up on the ridge to the north, or right, and bivouac there to attempt getting a spectacular wide angle photograph of the lake and Explorer Peak. This trip will likely be the last of the summer, and depending on how I’m doing, I might just go from here east towards Porcupine Lake and Pass, even climbing the pass to test the unnamed lakes above North Star Lake in the Garfield Basin, then backtrack to Squaw pass and the alpine lakes of Little East Fork of Blacks Fork, where Bigfoot has been reported seen more than in any other area. From there back to the Trailhead. That could be more than I can chew, but we’ll see……stay tuned. The 3rd backpack will be to the off-trail Reconnaissance Lake and Triangle Mt. 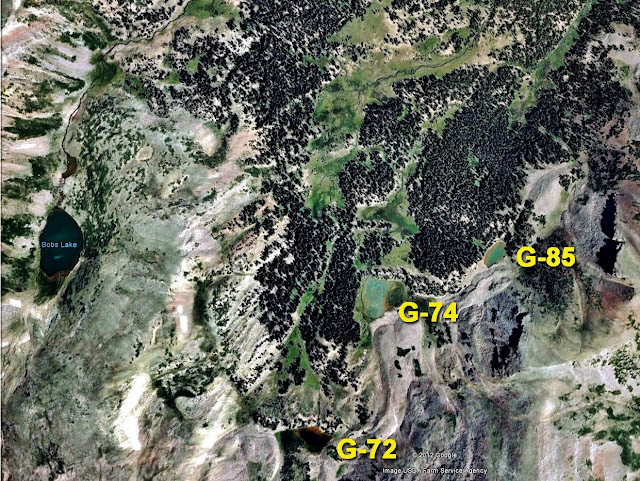 area at the head of the Rock Creek Drainage. 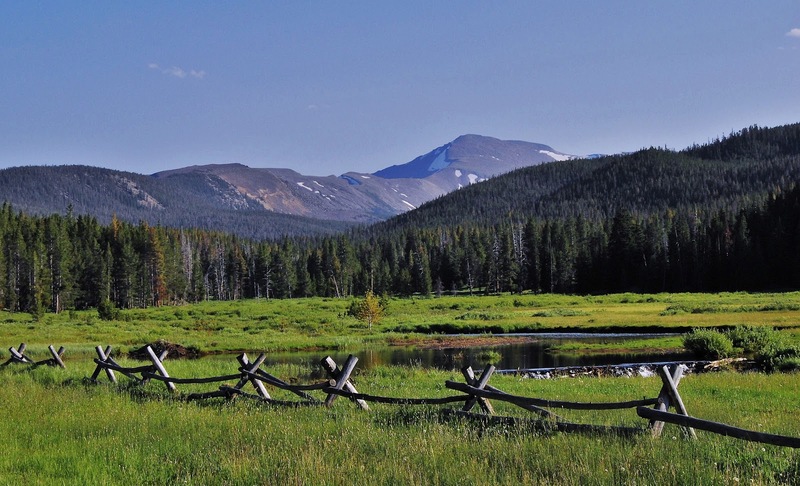 Access is from the Highline Trailhead on the Mirror Lake Scenic Byway. The hike leads you up over Rocky Sea Pass and east to the Rock Creek Drainage. I will follow the above timberline trail that circles the far reaches testing the waters of several remote lakes and on to Reconnaissance Lake–about 20 miles from the Trailhead. 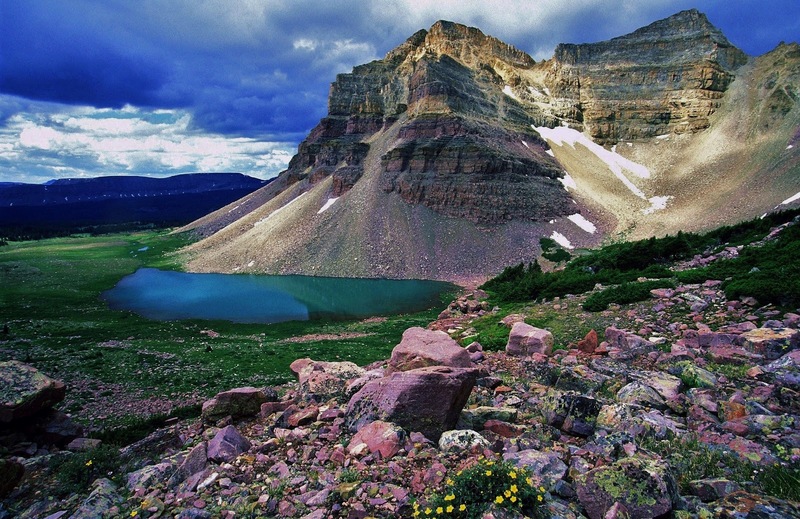 For me this beautiful alpine scene rivals Red Castle as the most beautiful mountain scene in Utah. 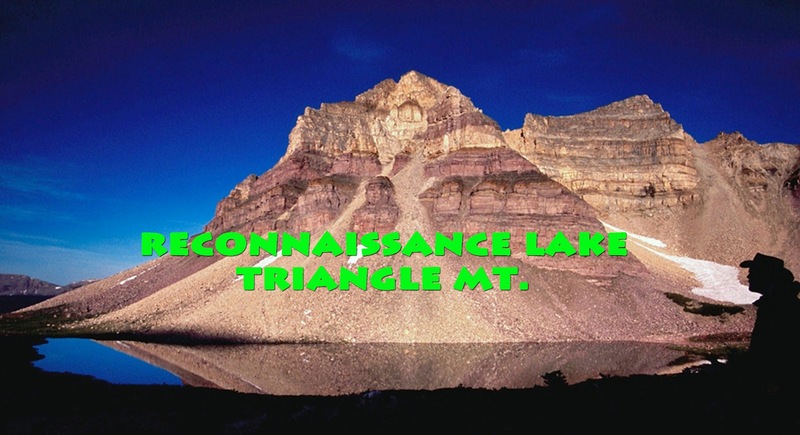 Triangle Mountain is 12,385 feet high, with the lake above timberline at around 11,150 feet elevation. I have been to this area 3 times, but love it so much that I hope to be able to make it one more time before considering hanging up my backpack. The 4th area we will enjoy seeing here, but which will actually be my first backpack of the season, is to little visited and mysterious North Slope’s Middle Fork of Blacks Fork, part of my purpose being the pursuit of greater understanding of the “unsung American heroes” the TIE HACKERS, without which the West wouldn’t have been won. Pretty bold statement, right? For those who don’t know what the heck I’m talking about, permit me to give a very brief explanation. Above we see a tie hack cabin moved piece by piece from the Steele Creek area and put back together at the Mt. View Ranger Station to the north in Wyoming. 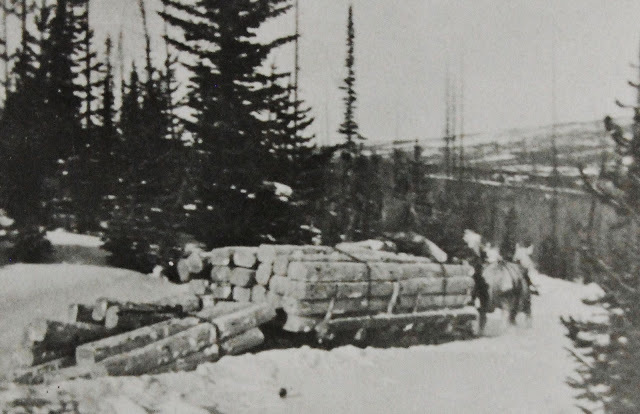 In 1867 the Transcontinental Railroad was being constructed to the north of the Uintas in Wyoming and millions of railroad ties were needed. 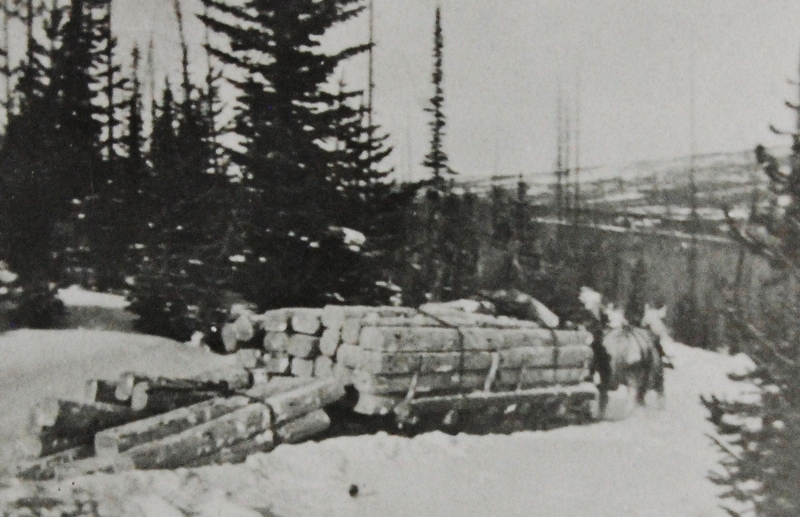 Rugged Irish immigrant lumbermen were sent into the Uinta’s North Slope, and other areas to work 12 months a year making railroad ties with their broadaxes. 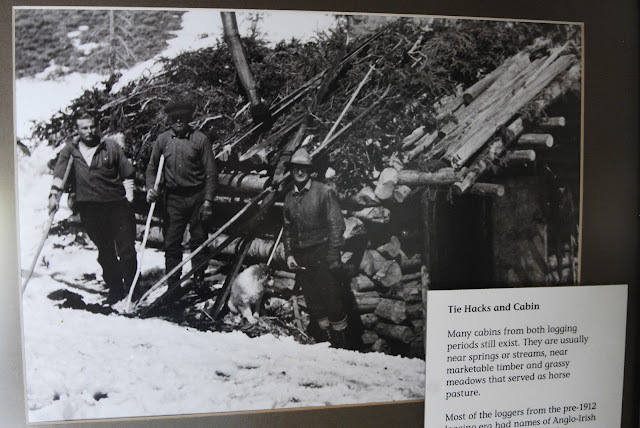 Much of their work was done in the winter time when they could more easily transport the ties using sleds. 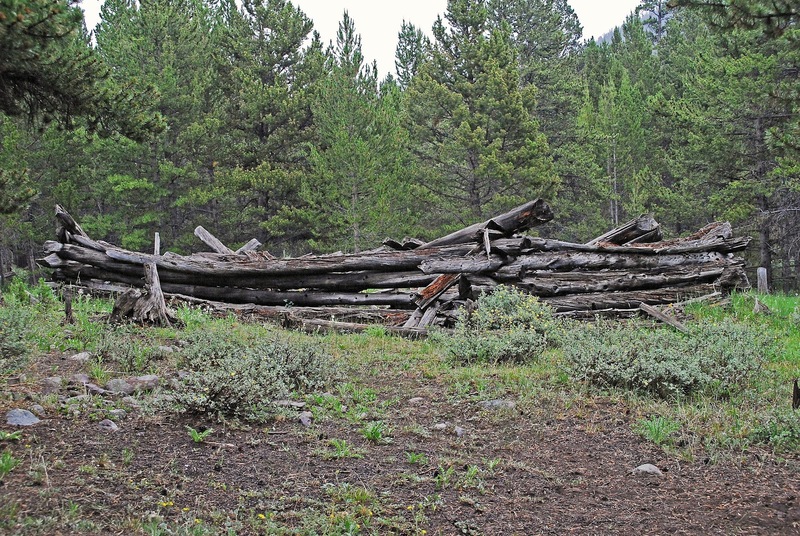 They were accumulated in the river and creek beds behind what they called “splash dams.” When the thaw came and the lakes behind these temporary dams filled up the dams were blown with dynamite and the ties were washed or “splashed” downstream into Wyoming where they were picked up by the railroad. 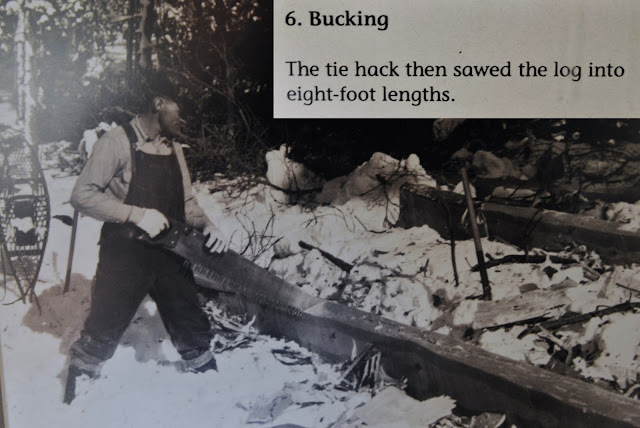 These tough tie hackers built their cabins, and small communities in the lodgepole areas of the Uinta’s North Slope. The area where I have found and photographed the most ruins is an area that is never mentioned in any of the books, scientific studies, and Forest Service reports. 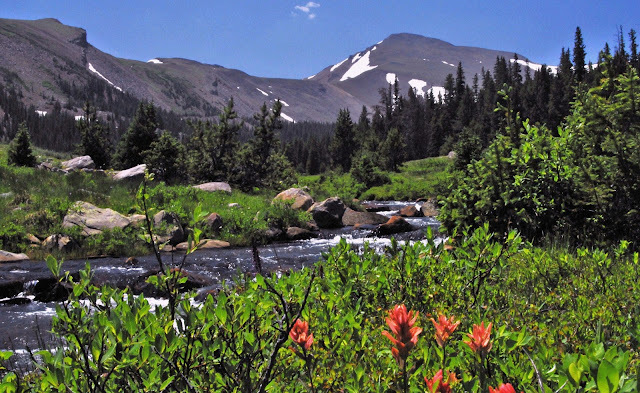 It is the little visited beautiful Middle Fork of Black’s Fork that leads to 13,165 ft. Tokewanna Peak. This will be my 3rd trip into the area. This trip, among other purposes, is to begin getting my mountain legs and lungs in shape–acclimatizing myself for higher and more difficult elevations. 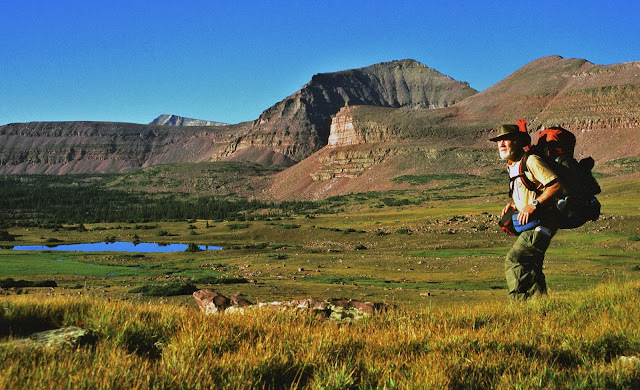 For the first couple of days I will be at elevations between 9,000 and 10,000 feet crisscrossing back and forth across the canyon mapping and photographing all the sites, and dating all of them–either from the early 1867-1880 period, or the 1912-1935 period. I’m just showing 2 sites here of the dozen or so I have found and photographed. 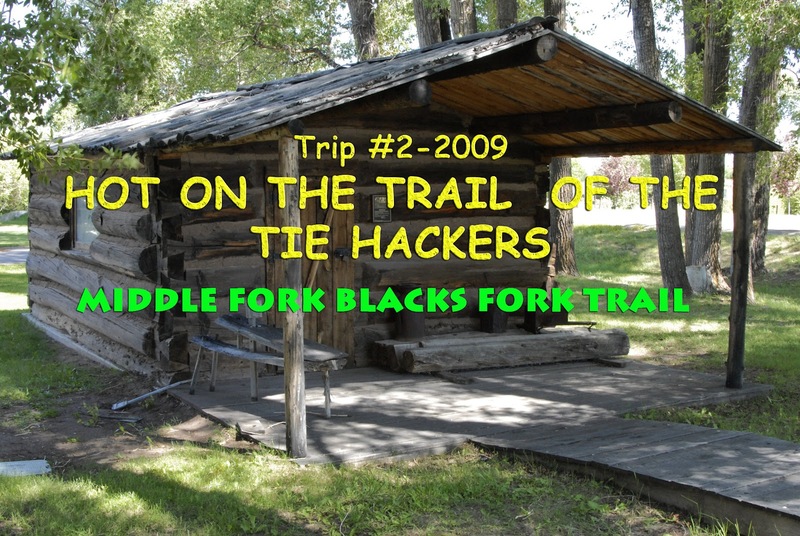 The one above was quite large and possibly a dinning hall, also used by the tie hackers for dances and social gatherings. 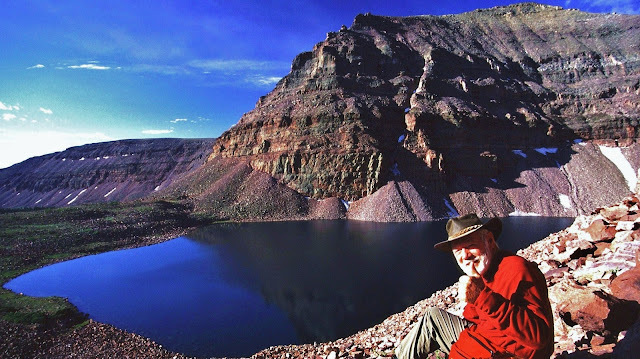 That task accomplished, and hopefully acclimatized, as in recent years I have experienced some High Altitude Sickness, I will then move up the canyon towards Tokewanna Peak and Bob’s Lake. Bob’s Lake is on the right side of the ridge coming off the peak. 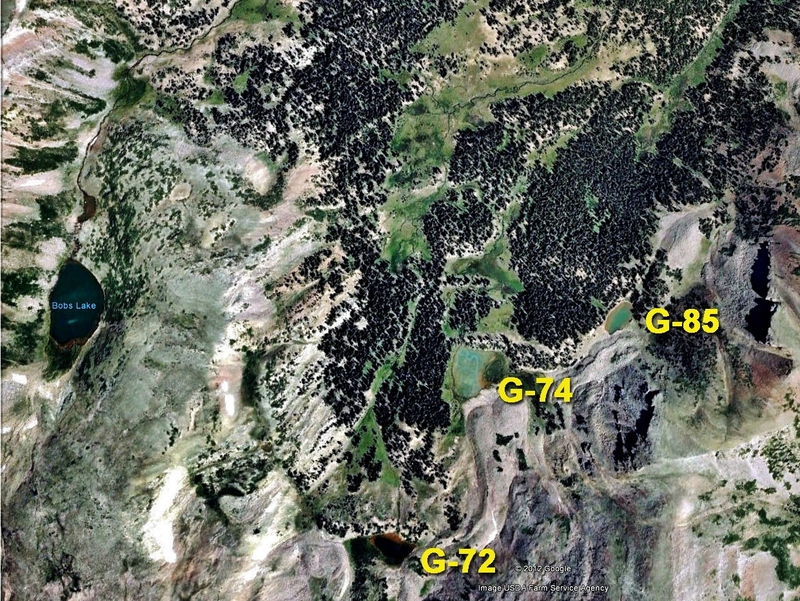 Three smaller lakes are found in the drainage to the left of the ridge. Bob’s Lake will be my first objective in the high country. Three years ago I caught very strong Tiger Trout, and I would hope that they are still alive and much larger. From Bob’s Lake I will climb the ridge to the east, or left, and drop over into another branch of the canyon. 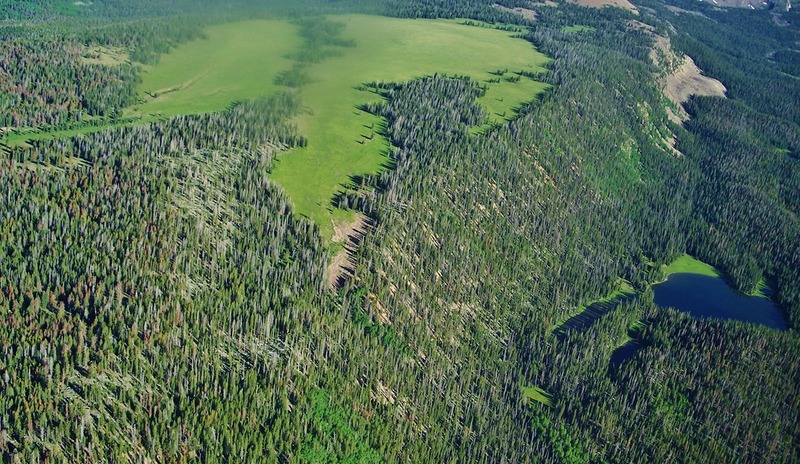 In this area there are three small lakes, two of which possibly have fish and I will test them and report. Unless you are a young buck that has kept yourself in good shape with a lot of physical activity, you’d better be willing to work real hard at getting in shape. 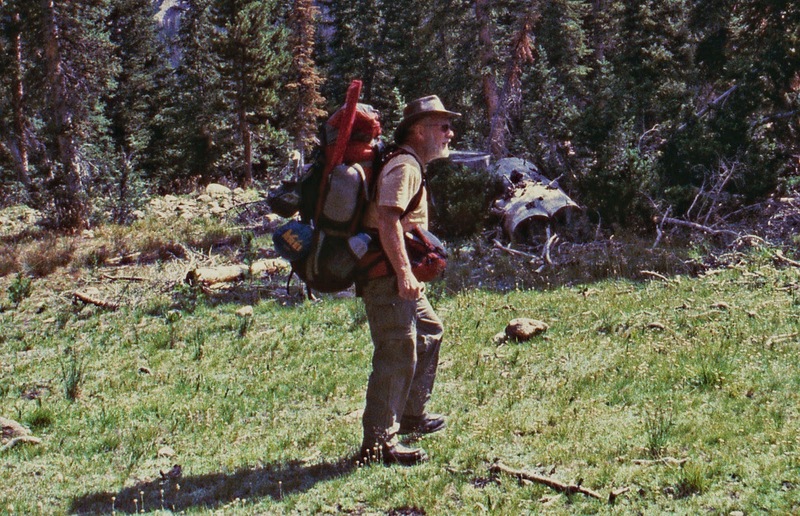 Hiking with a load on your back above 10,000 feet is no cake walk–in fact the stress is multiplied several times over normal hiking. If you are in your 77th year, such as will be the case with me, you have to do much, much more. For three years I have persisted in having a job that is the perfect job for me to have a chance at being in shape. Some have called my job “the lowest in the food chain” but I have found that going on an hour walk three times a week has me going downhill. I need much more, and in my job as a “shopping card herder” I do around 7 miles 4 times a week, half of it pushing long chains of carts, jumping at the chance of doing all the heavy lifting possible with customers, and I’m known for jogging a lot to help a customer with purchases, or go get a stray cart. Of course that’s only a part of the need. The rest I do at home putting a pack on my back and getting hours in while watching Utah Jazz games, and other things on TV. Right now, in April I’m doing it with a 50 lb. pack. 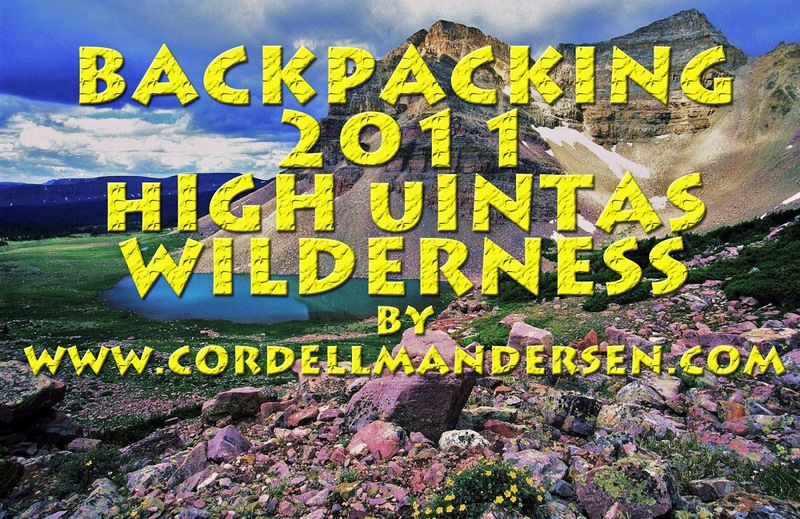 That will increase up to 65 pounds as the backpacking season approaches. I also do 40 to 60 push ups during time-outs as seen in the YouTube video. Some of you might remember what happened last season. I took 2-1/2 months off from my work to have one heck of a backpack summer. My first trip was a bust as everything was still snowed in. I drove around, took photographs, checked with the Forest Service, and did YouTube videos reporting conditions, but didn’t get any exercise. The 2nd and 3rd trips and weeks were pretty much the same. Trailheads snowed in, roads washed out, and bridges down. The high country was inaccessible like I had never seen before. The forest Service recommended waiting until August. I finally was able to get to a Trailhead and go backpacking, but found that a month of inactivity had really hurt me. When you’re older you lose your conditioning much faster, and have a much harder time getting it back. Being out of shape produced a domino effect–not just phsical weakness, but also my weakened condition had High Altitude Sickness slow me down. So I concluded I was far from finished. I just had to keep working, working out, and next summer work right up to the day before I put on my pack for my first backpack. 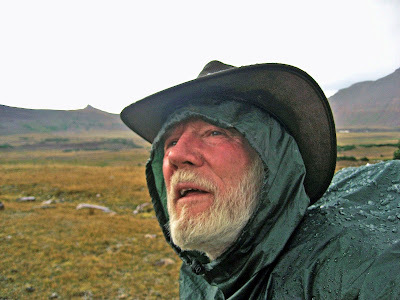 Then I will be wise with that first trip and gradually get used to the extreme stress of high altitude hiking with weight on my back and keep pecking away at my scheduled trips, one by one and do the best I can, but with a foundation of hard work, and feeding my body properly as will be outlined in Part 2. So tune in to Part 2 that will be coming in a week or so. Gear/Supplements and many more listed on the Articles page. These photo/essays will follow the same outline as the videos, using the same photographs, perhaps more information in the text, and the advantage of links to related subjects on the website, to more detail on the internet, and to all items recommended where you can instantly purchase at prices usually lower than you can get anywhere else. 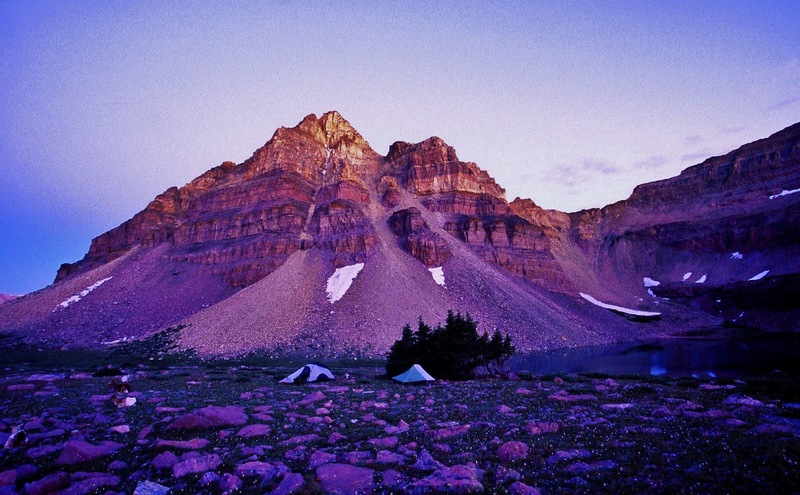 Part 3: Backpacking Equipment and Gear–what I will be using and newest gear.